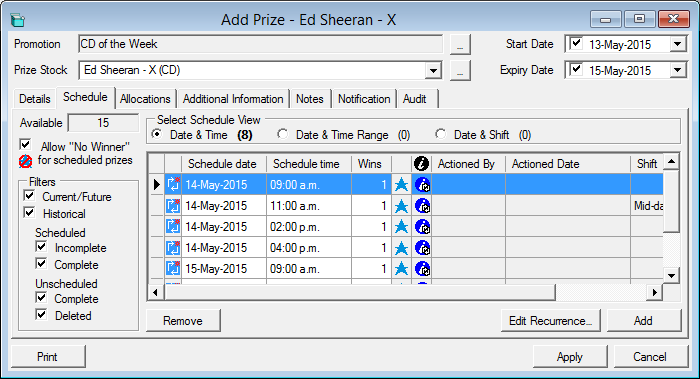 LinkStudio has a comprehensive set of tools and proven workflow processes for streamlining prize management. Create simple to complex competitions; from instant win and registration setups, through to cash prize giveaways which require approval. 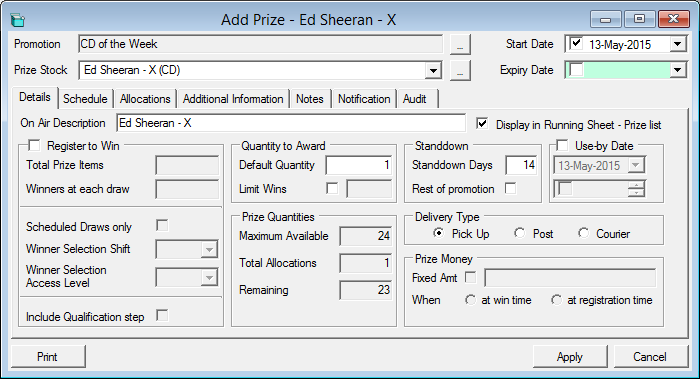 Control prize stock inventory, assign prizes to be awarded and manage the process from confirmation of the competition through to the point a prize is distributed to the Listener. Provide key staff members specific “up to the minute” instructions so that they can quickly and efficiently complete assigned tasks. Seamless workflow processes help the information flow between staff, listeners and clients will improve, with minimal effort. Your listeners will enjoy a service level which is often reserved only for advertisers. 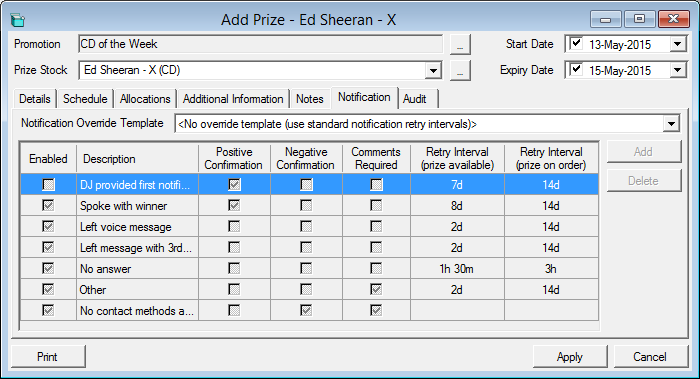 Your advertisers will receive proof that prizes for campaigns have been awarded as agreed.